It is now slightly less than 4 months until Christmas. Unreal how time flies! For some reason, this year I am determined to give homemade gifts to those on my guest list. Since we have a large family and each of the kids' partners-in-love have fairly large families as well, we started a secret Santa program, for want of a better word (program sounded better than "thingy"). There is an agreement in place that if you don't live in the same town as other family members, no gifts are exchanged. We draw names at the end of our Thanksgiving dinner and we have a set price of $40. Being Canadian, our Thanksgiving is at the beginning of October and that gives everyone plenty of time to figure out gifts. We have had some pretty inventive, and awesome gifts given for sure. 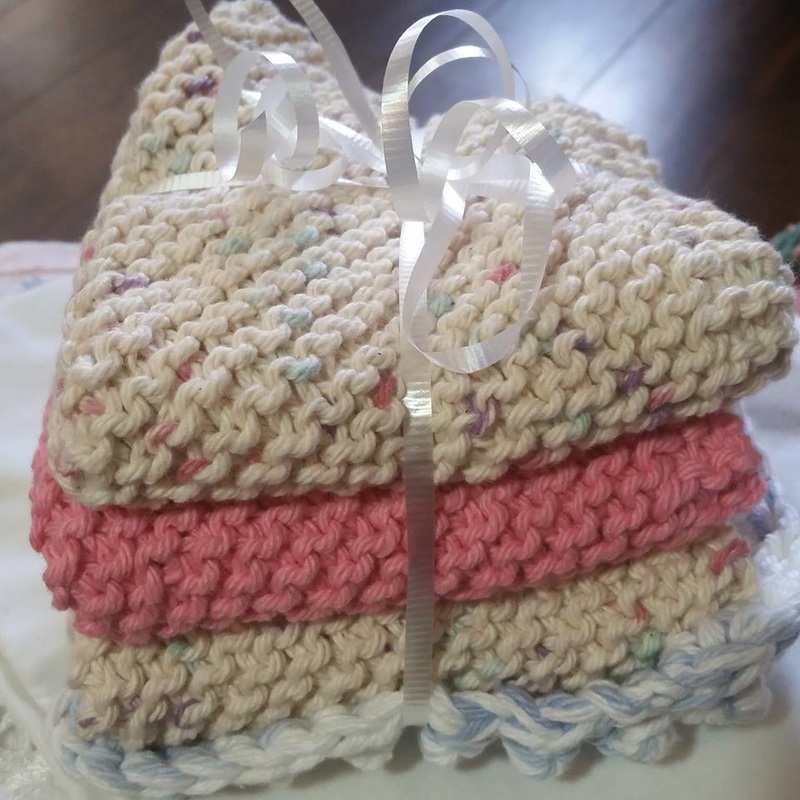 This year, I am giving everyone the same thing - a bundle of three knitted dishcloths and one crocheted scrubby (pattern and links to follow). I am going to try to use their favorite colors for those that have favorites and others will get whatever color combo I come up with. I use a size 5mm knitting needles, which is roughly a U.S. 9 size. 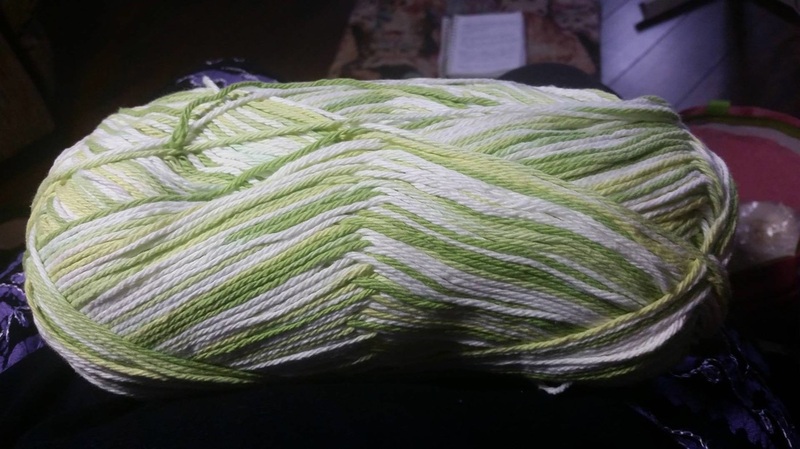 For my bundles, I use a ball of variegated yarn and a ball of plain color, and I use a ball of white for the scrubbies. 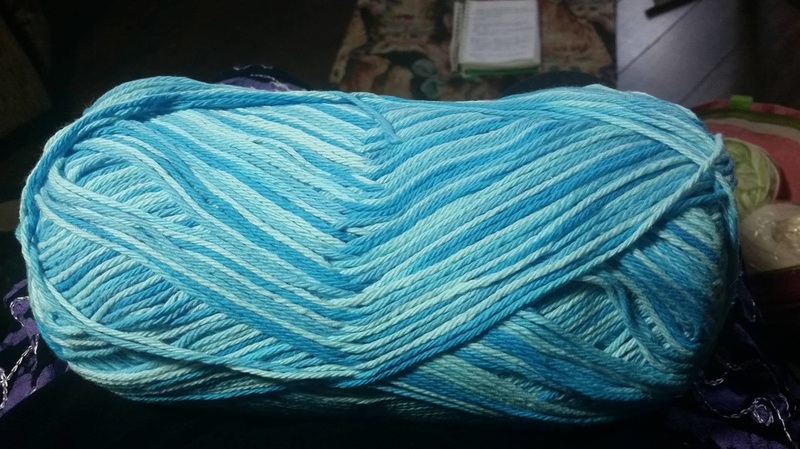 The yarn I use is a cotton yarn. I got mine at Wal-Mart. I buy the large balls of the varigated and the small ones of the solid colors. Please note that I did not make this pattern. I found it on the inside of one of the yarn wrappers. Rep lazt row to 3 sts. Cast off. 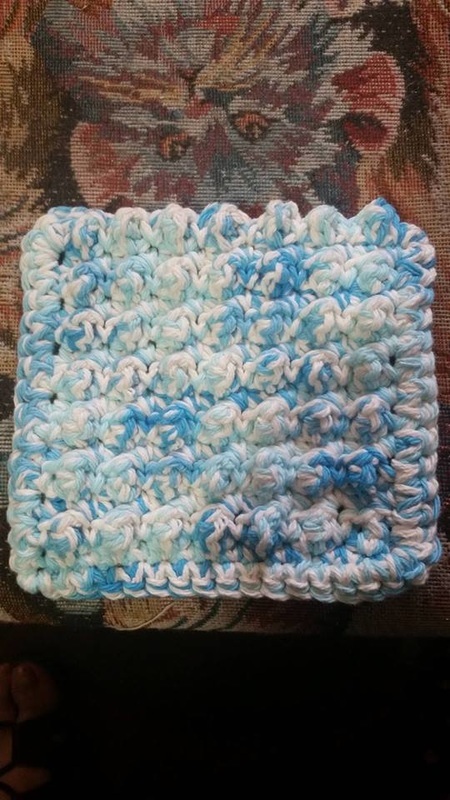 As for the scrubbies, I found a quick and easy crocheted pattern on pinterest and have shared it on our blog pinterest page. The photos in this post are of the ones I made. 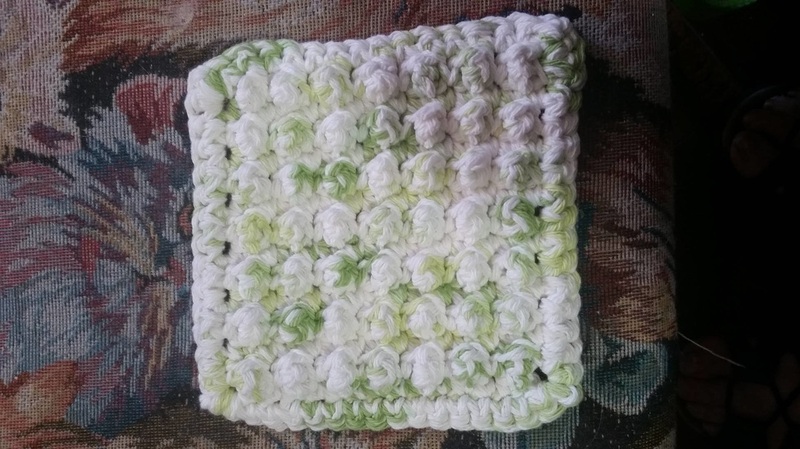 I did modify the pattern by adding three extra rows because I found it a tad too small. Hope this gives you an idea for a quick, and much appreciated gift!